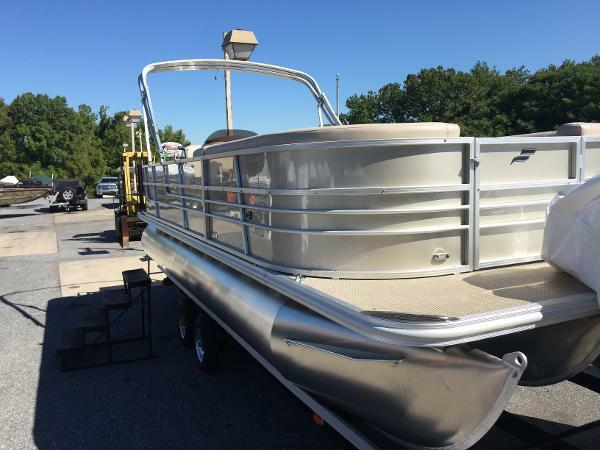 2017 Starcraft EX 23 C Increase your fun on the water with StarCraft Pontoon Boats @ Ducky's Boats Learn about the best brands on the water by contacting our experienced salesmen unmatched quality and craftsmenship go into our pontoon boats when compared with the competition. Technology, Comfort, Choice, Heavy Duty Construction and Quality Hand Made Upholstery set us apart from the competition. Ducky's Boats has a LARGE In Stock Inventory of StarCraft, Godfrey, SweetWater & AquaPatio Pontoon Boats Available for Immedate Delivery ! 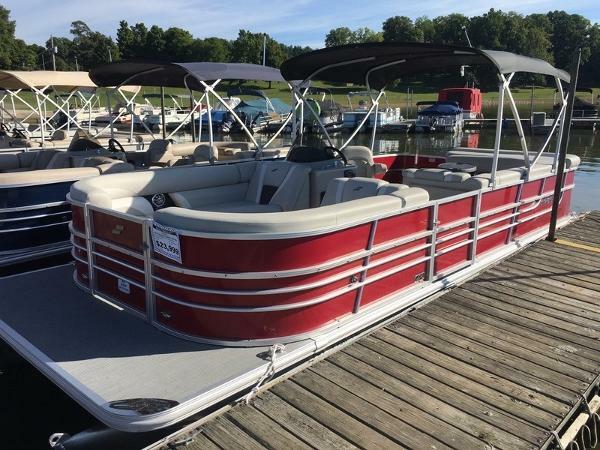 Nobody Beats our Deals WWW.DUCKYSBOATS.COM With the EX 23 C pontoon, the whole family can enjoy days on the water at an affordable value. Stocked with great features and equipped with the quality standards of all Starcraft pontoons, the EX 23 C is great for the whole family. The CX pontoon boat series is everything you'd expect from Starcraft. With countless layouts and options to choose from, you're sure to find the perfect pontoon boat for you at a value you can afford. 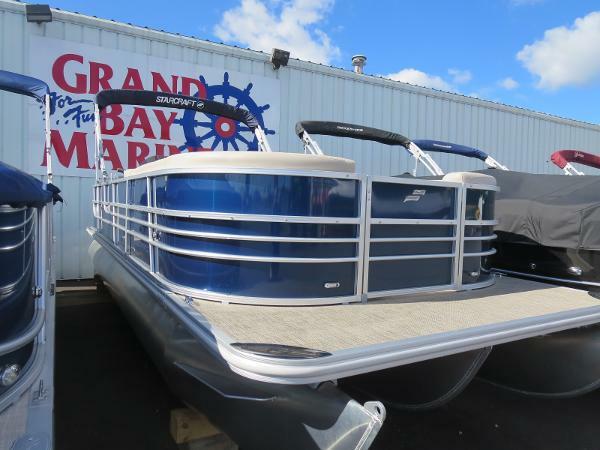 2017 Starcraft EX 23 C Trim Gauge Depth Gauge 4.2 Tilt Steering Sea Star Hydraulic Steering Stainless Steel 4-Step Ladder Docking Lights AM/FM Stereo with an Auxiliary Port for an mp3 Player And Much Much More! 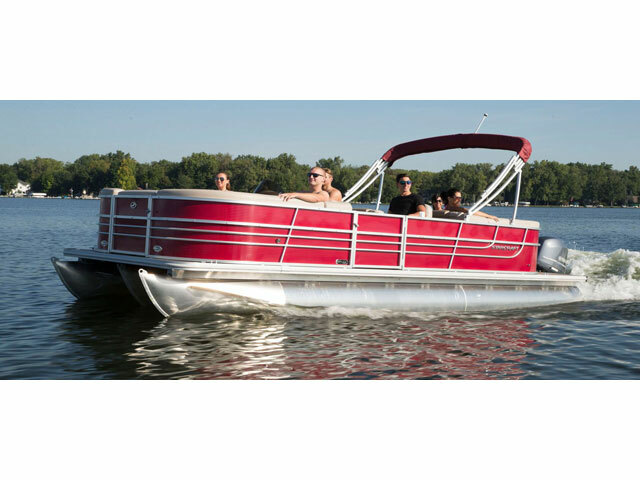 With the EX 23 C pontoon, the whole family can enjoy days on the water at an affordable value. Stocked with great features and equipped with the quality standards of all Starcraft pontoons, the EX 23 C is great for the whole family. 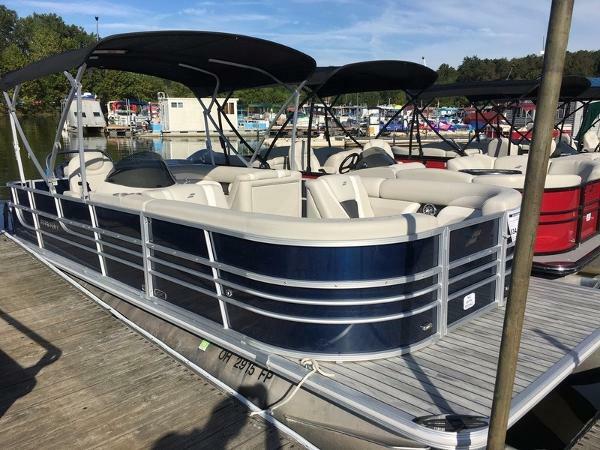 2016 Starcraft Pontoon EX 23 C, With the EX 23 C pontoon, the whole family can enjoy days on the water at an affordable value. Stocked with great features and equipped with the quality standards of all Starcraft pontoons, the EX 23 C is great for the whole family.